Today's post is something very different for 'Char's Little Blog' and it's a competition! * This competition is hosted by FarFetch and there will be three very lucky winners! There are three vouchers up for grabs for the top three highest scorers - the 1st prize will be a £500 voucher, 2nd prize is a £300 voucher and the 3rd prize is a £200 voucher. Now, I don't know about you but I would love to win any one of these vouchers to spend on FarFetch (they have seriously amazing designer pieces - p.s. some are currently on sale!!). 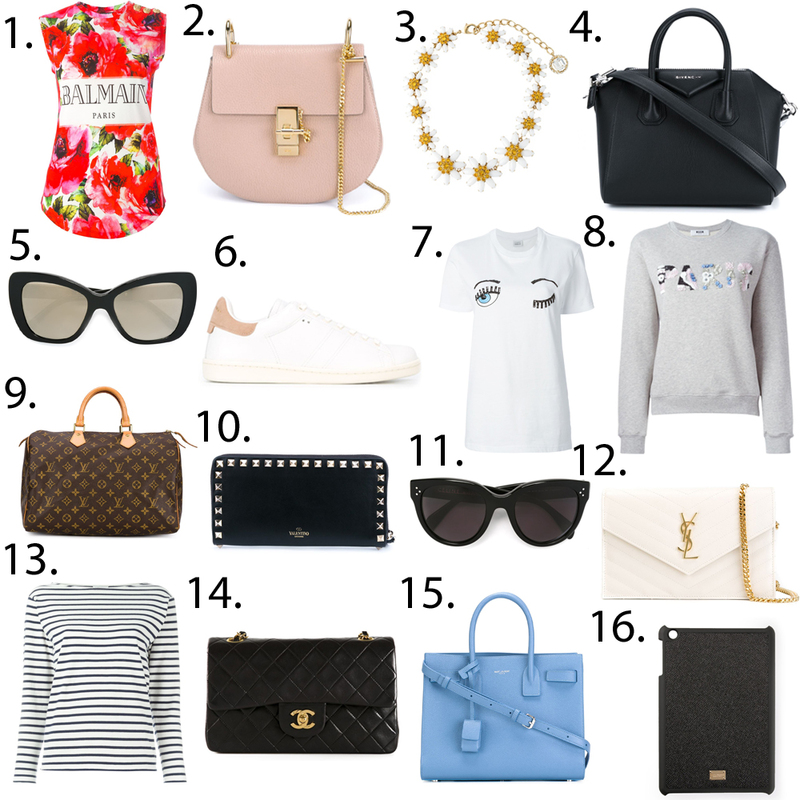 I thought that I would include this wishlist so you guys could get a feel for the pieces that FarFetch sell. I would love to be able to buy all of these - I can dream right? I know that the majority of us simply cannot afford to buy gorgeous designer pieces, which is why this competition is so great! Wouldn't it be amazing to win one of these vouchers and be able to buy ourselves a designer piece that we have been lusting after for a while? I know I would love to win one of these vouchers myself! So if you fancy putting your fashion knowledge to the test and showing off your expertise by seeing a selection of luxury fashion items and guessing the designer then you can enter by clicking the FarFetch widget at the top of my page or by clicking on the link below. I would love to know how many of you enter and if any of you win so please do let me know! *FarFetch very kindly contacted me and asked me to collaborate with them on this competition (which I was so excited about by the way!) and it would be great if you guys could be in with the chance of winning by entering. All opinions expressed are my own and everything on my wishlist was hand picked by myself (because I do really love those pieces). Just love the Louis Vuitton bag, soooo pretty! Oh my goodness, there's so much stuff on Farfetch that I wish I could afford! Specifically that Givenchy Antigona bag, so beautiful.